Dave Molta is a Professor of Practice in the School of Information Studies at Syracuse University, where he has spent 20 years teaching courses in computer networking and information security. Prior to becoming a professor in the iSchool, Molta had a 15 year career in IT, including a range of technical and leadership positions, most recently a 7-year tenure as Director of Network Systems at SU. Bridging his IT and academic careers, Dave also spent 15 years as an Editor with Network Computing Magazine, where he co-founded the Real World Labs at Syracuse University, which was housed in the iSchool’s Center for Emerging Network Technologies (CENT). The SU lab conducted hundreds of network product evaluations and their work helped to shape the evolution of the networking industry during the 1990’s and 2000’s. Molta’s technical focus was mobile and wireless networking and he also worked for a time as Editor and Editor-in-Chief of the publication, responsible for overall editorial direction and coverage. Many of Molta’s former students leveraged their experience in the CENT lab to secure technical positions in a range of large technology companies, including Apple, Cisco, Microsoft, HP, Amazon, as well as many smaller start-ups. 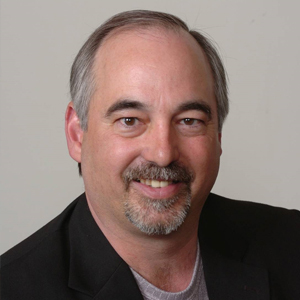 Dave has also been engaged as a consultant with numerous technology companies and he has served as a speaker, track chair, and advisory board member for a number of industry conferences, including NetWorld, UNIX Expo, ComNet, and Interop. In the iSchool, Molta was selected by students as Professor of the Year in his first year as a faculty member. Since that time, he has taught numerous technology-oriented courses and he has served as Assistant Dean for Technology and Director of Undergraduate Programs. His students implemented early versions of iSchool computing labs and he has been a champion for experiential, hands-on learning. Molta is proud to be a second-generation descendent of early 20th Century Ellis Island immigrants who came to this country with little money but plenty of pride and motivation. Overview of technology, standards, implementation and management of digital computer networks. Wired and wireless local and wide area networks, Internet protocols, telecommunications, and network security.